If Oranssi Pazuzu see boundaries, they don’t acknowledge them. Existing on the fringes of black metal, or even just metal, since their 2009 debut Muukalainen puhuu, the Finnish band has gradually been circling outward from their already mind-altering core of prog, psychedelia, krautrock and metal. Each time they venture into a new exploration and expansion of their sound, they seem to grow in strength and stature, like a monster whose base of knowledge and power grows each time it feeds off of the life of another. It’s terrifying and awe-inspiring in equal measure, and seemingly unstoppable once its path is set in motion. 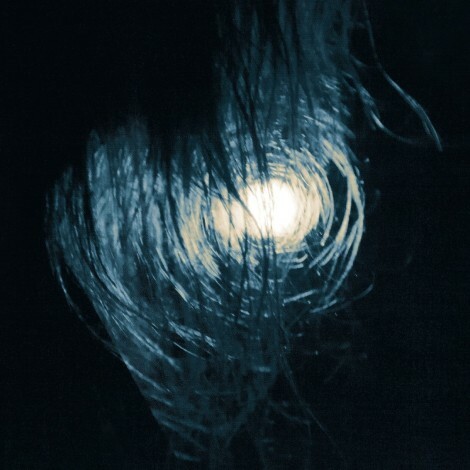 Oranssi Pazuzu’s 2013 album Valonielu would, by any other band’s measure, be seen as a creative peak. Through an equal mixture of shorter, more visceral songs and longer, expansive explorations, the group offered up the most cohesive summary presentation of their essence. It was powerful, cosmic, and at times far too massive to simply be called “metal.” It was that, certainly, but it was also something much greater and less strictly defined. Leave it to a band on an already profound and illuminating journey to surpass even that with their fifth album, Värähtelijä, a sprawling odyssey of an album that takes its predecessor’s revelatory sonic approach and adds 25 minutes and seemingly countless sonic textures. Indeed, this album is colossal, even by the standards of a band whose body of work consistently aims for a network of stars beyond our reach. Their black metal elements are still there, but it’s not the prevailing aspect that defines their work. One only need spend some time with the record’s eight-minute title track (which makes it the album’s third shortest composition) to hear them adrift in a more atmospheric, almost spiritual realm. It’s still dark, sinister, on the brink of eruption into pure mayhem, but there’s something breathtaking and comfortable about how at ease Oranssi Pazuzu is without ratcheting up the intensity so readily. It’s gorgeous. That comfort in settling into grooves that orbit well outside heavy music’s center of gravity never translates into dormancy or redundancy. Just as soon as the band finds a sense of ease in the title track, they cast it aside in favor of the breakneck surge and rhythmic complexity of “Hypnotisoitu Viharukous,” which might be the only track in recorded history that feels like a hybrid of early Enslaved and Drive Like Jehu, with some early ’90s post-rock in its moments of respite between collisions and a surprising breadth of screaming, from goblin scary to emotionally, desperately human. That it’s white-knuckle intense and overwhelming in all the best ways proves the band’s knack for kicking back into high gear at the right times. Yet it’s still a magnificently constructed composition—a feat of expert songwriting rather than simply a contest of muscle. More than half of the tracks on Värähtelijä are around or well over 10 minutes each, and as such means they demand a certain level of patience similar to that some of the pioneering black arts wizards of the mid-’90s (Enslaved, In the Woods). Yet what separates them from those artists is the more organic, groove-based sound of some of the tracks, like the repetitive shoegaze rev of “Havuluu,” the production of which is given a dense and rich production courtesy of Julius Mauranen, whose credits lean heavier toward indie rock than metal. Similarly, the triumphant opening track, “Saturaatio,” builds a stunning pulse against bumblebee guitar buzz, in short order lifting off up into a Spiritualized-like shrieking guitar freakout, and ultimately a paisley swirl of guitar and organs at the center. Implements of destruction rarely seem so seductive, and the same can be said for 17-minute centerpiece “Vasemman Käden Hierarkia,” which crams dark ambient weirdness, prog excess, choral grandeur and arena rock badassery into one solitary song. If you choose to view a juggernaut in such reductive terms, that is. Värähtelijä finds an almost overwhelming number of ideas coming together, sometimes at a rate that’s seemingly impossible to keep up with. Their ideas almost seem to contradict each other at times, the slow motion swirl and communal experience of psychedelic rock against the solitary misanthropy and harshness of black metal. By that measure, Oranssi Pazuzu is a fusion band, and one whose mission challenges the very foundation of what we understand about certain types of music. In that sense, this isn’t a record in which every piece comes into focus at first listen (or second, or so on). It’s a compelling puzzle, but more than that, it’s a breathtaking listening experience. The old cliche about psychedelic drugs is that they open the door to perception, but you could easily say the same about Oranssi Pazuzu. This might be black metal on the surface, but a deeper examination reveals it’s kaleidoscopic.